FanSource is pleased to offer these autographed CD's to our website visitors, as well as other CD offers exclusive to FanSource. A Life Filled With Love and Claudia's Letter were designed and published inhouse. Have a CD you would like to have promoted on our website, or need help with designing and publishing your CD? Contact us at info@fansource.com. Please note when you make certain CD purchases you will be purchasing them directly from the artist's PayPal account, but these websites are maintained by the same company that brings you FanSource. 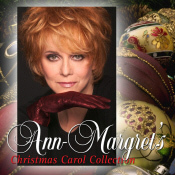 The first-ever Christmas album by one of the superstars of recording, stage and films, Ann-Margret's Christmas Carol Collection is a unique musical achievement featuring classic holiday songs and The Jordanaires on select backing vocals. This fresh, new Christmas collection glows with taste and style, and for Ann-Margret fans worldwide, Christmas now also means evergreen carols wrapped up in red curls, cashmere sweaters, green eyes and purring, alternating sweet and fiery vocals. 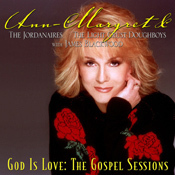 The compelling voice, personality, and mystique of superstar Ann-Margret is showcased on gospel and inspirational songs in this, Ann-Margret's first-ever gospel music album. Her celebrated singing style is blended with the top gospel music interpreters in their field, The Jordanaires, The Light Crust Doughboys, and James Blackwood, resulting in an incredibly moving and dynamic sound featuring soaring gospel quartet harmonies and sensational country, rockabilly, and folk music instrumentation. 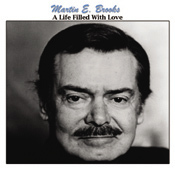 Original recordings of demos Martin did back in the 1960s at the request of a record producer. All songs written and performed by Martin. Each track has a introduction from Martin. CD comes with four page insert with photos of Martin performing on stage in SAY DARLING and notes from Martin about the production of this CD. LOST AND FOUND is Jorian's first CD album. 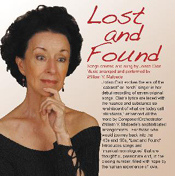 Love, lost and found, is both title and theme for this collection of songs created and sung by Jorian. These songs evoke a past era, the time of the “torch” singer, at its peak in the ‘40s and ‘50s. 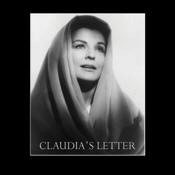 Claudia's Letter is a unique spoken-word album with a religious theme, based on a letter from the wife of Pontius Pilate to a friend telling her about how Jesus Christ cured her lame son and what a terrible consequences happened in their lives after Christ was put to death. Earle Hagen composed the music and conducted the orchestra with good friend Marjorie Lord reading the Letter. It is a most imaginative musical composition and a work Earle Hagen is particularly proud of. 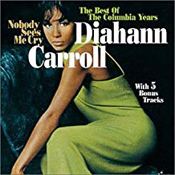 Available for the first time on CD, is the release of the original 1968 The Girl From U.N.C.L.E. LP that was first released in 1966 to accompany the cult classic spy-spoof TV show. The soundtrack features music by Dave Grusin, and also includes the theme to The Man From U.N.C.L.E. by Jerry Goldsmith. The album includes all of the original art work and liner notes from the original MGM Records release. Song Titles: The Man From U.N.C.L.E., Shall We Gather At The Boat Dock, Out Of The Frying Pan, April, Mother Muffin, Movin¹ On, The Girl From U.N.C.L.E., Sneaky Search, Somewhere In Greece, The Countess, Bomb Scare and Follow The T.H.R.U.S.H. 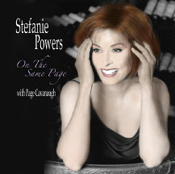 Debut recording from internationally renowned actress Stefanie Powers, featuring selections from the classic American songbook era and backed by veteran musician Page Cavanaugh (Frank Sinatra, Doris Day, Dinah Shore) on piano and stellar Los Angeles-based players. NBC Celebrity Christmas CD featuring your favorite NBC celebrities singing your favorite holiday classics! 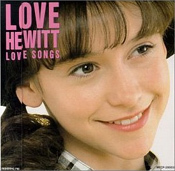 Tracks include: The Christmas Song Chestnuts Roasting on an Open Fire sung by Sean Hayes and Dave Coz; Baby It's Cold Outside sung by Bebe Neuwirth and John Lithgow, Have Yourself A Merry Little Christmas sung by Katey Sagal; O Holy Night sung by Marie Osmond; Santa Baby sung by Wendie Malick; Let It Snow! Let It Snow! Let It Snow! sung by Anthony Ruivivar; The First Noel sung by Jane French; Conventy Carol sung by Alex Kingston and Everette Harp; Wonderful Christmastime sung by Martin Sheen, John Spencer and Stockard Channing; Silent Night sung by Megan Mullally; 'Twas The Night Before Christmas' by Jay Leno. 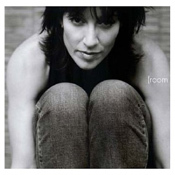 Room is a combination of original songs penned by Katey including "Life Goes Round", "Daddy’s Girl" and "Wish I Were a Kid", and memorable classics like "Feel a Whole Lot Better" and "(For the Love of) Money". 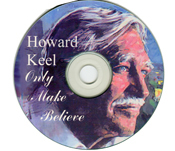 "This CD began during a transitional time in my life. ", Katey said. "I phoned my friend, Bob (Thiele), and we began in one room to put it together. We picked songs that gave voice to where I was. I wrote a few and borrowed a few and together they built this room." Room was produced by Bob Thiele (Bonnie Raitt) and mixed by Ray Kennedy (Twangtrust/Steve Earle). Ivan Neville, Don Was and Shane Fontayne make appearances throughout the disc. Meditation and original music as experienced in Lindsay's 'Quiet the Mind & Open the Heart' experiential workshops and retreats. 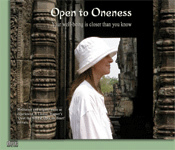 Lindsay's Open to Oneness CD calls to our extraordinary human potential. 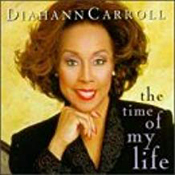 In "Crystal Cathedral" her soothing voice and a powerful intention to awaken oneness, a profound sense of connectedness makes her first mediation CD a unique labor of love. Experience the beautiful music and the magical, peaceful sounds of the piano, guitar, flute and nature that create a stress-free sanctuary in which to quiet the mind, shift negative thoughts and limited perspectives and bring about a more profound sense of causeless peace and joy, creativity, health and unconditional love.